SAN JOSE -- San Jose has received about $600,000 in government funding for the Diridon station through an agreement with the California High-Speed Rail Authority, authorities announced today. The station area agreement will help local and regional transportation agencies plan new ways for passengers to transfer between different carriers, since high-speed rail is expected to run there in 2025, high-speed rail authority officials said. The downtown station will receive $200,000 from the state and $400,000 through the federal American Recovery and Reinvestment Act. The first segment of the high-speed rail will span between the Diridon station and north of Bakersfield, which would cut a typical three-hour road trip to one hour, rail authority officials said. There are also plans to expand the service to San Francisco and the Los Angeles area and in a second phase to San Diego and Sacramento. The downtown station connects passengers on lines for Caltrain, the Santa Clara Valley Transportation Authority, Union Pacific, Altamont Corridor Express, and Amtrak's Coast Starlight and Capitol Corridor routes. Under the partnership, the agencies will also help bring transit-oriented development and other projects around the station, according to the rail authority. "Our Diridon Station Area Plan envisions a vibrant and urban mixed-use setting that serves as a regional hub of jobs, housing, transportation and entertainment," San Jose Mayor Sam Liccardo said in a statement. "I thank High-Speed Rail for investing in the implementation of the city's vision for this area, and look forward to working with them and stakeholders throughout the community to create a world-class destination in and around Diridon Station," Liccardo said. The authority has reached similar agreements with other cities, including Gilroy, Merced, Fresno, Bakersfield, Burbank and Palmdale. 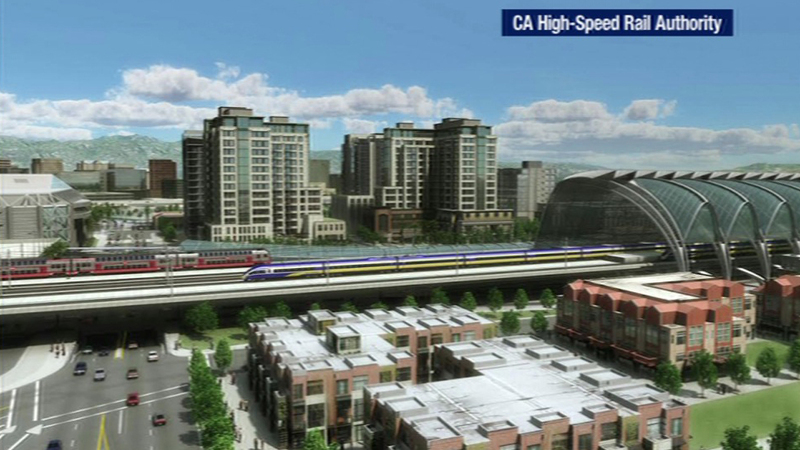 "This agreement will provide vital connections and development opportunities that will ensure that the high-speed rail station in San José becomes one of the major transportation hubs in the Bay Area," California High-Speed Rail Authority board chairman Dan Richard said in a statement. "This station will deliver passengers from the Central Valley and Southern California to the heart of the Silicon Valley and will provide new economic opportunities and improve mobility," Richard said.